Home Articles Culture, High & Low Whatever Happened to Communitarianism? Twenty years ago, the concept and label “communitarianism” was riding high, or at least as high as any broadly applicable yet intellectually coherent ideological movement usually ever does in the United States. 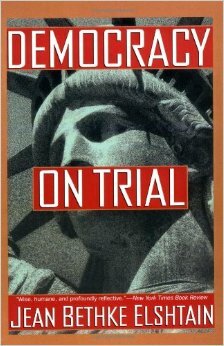 There have been exceptions, to be sure: abolitionism, progressivism, prohibitionism, libertarianism, feminism–the American varieties of each of these transformed (or introduced new) political parties, challenged or changed social norms and expectations, shaped our interpretation of the U.S. Constitution, and overall left their mark on the history books. It seems likely that such will not be the case with communitarianism when non-academic histories of the 1990s get written, however. On the contrary, right now it looks like communitarian arguments are going to be about as well remembered as the populist arguments of the 1890s or the socialist arguments of the 1910s–that is, inspiring and important to those already inclined to see public life in those terms, but not socially important. Why is that? Or, perhaps, are intellectual appearances deceiving? 2015 is a good time to ask this question, since twenty years ago, in 1995, bookstores and the op-ed pages of dead-tree newspapers were filled with communitarian rhetoric and questions. Three books published that year stand out in particular in my memory: Alan Ehrenhalt’s The Lost City, Jean Bethke Elshtain’s Democracy on Trial, and Daniel Kemmis’s The Good City and the Good Life. (Amitai Etzioni, who was an exhaustive cheer-leader for what he and his compatriots referred to as “responsive communitarianism,” also published the important compendium New Communitarian Thinking in 1995.) As I recall, only one of these three books had anything like an actually discernible impact of public discourse–Ehrenhalt’s–and none of them explicitly identified themselves as part of the communitarian intellectual movement, anyway (indeed, in retrospect, Elshtain’s work may well be better understood as having contributed to a different intellectual package entirely). Still they all–supplemented by many other books and essays and op-eds published right around the same time (Michael Sandel’s Democracy’s Discontent, Jim Wallis’s The Soul of Politics, etc. ), not to mention the manner in which leading political figures throughout the English-speaking world in the mid- to late 1990s liked to position themselves as community-minded, “Third Way” politicians–made it seem as though communitarian thought was really going to be transformative. Which most people today would probably agree wasn’t the case. But those of us inclined to resist ideologies of individually grounded and thus essentially unlimited growth, choice, and rights–in other words, all the anti-capitalists and anti-statists and anti-globalizers out there–may want to reconsider that conclusion for a moment, if only to help ourselves see what might be beneficial movements in a genuinely communitarian direction…just ones that are taking place in a rather different key than was called for twenty years ago. The heart of the communitarian argument–which was re-appropriated and re-played in all number of historical, theological, and other intellectual contexts–was essentially an acceptance of the moral anthropology of classical republicanism: because our full development as social creatures, fellow citizens, and simply human beings depends upon cultivating civic virtues and an understanding of responsible freedom which individualism often undermines, forms of economy, government, and personal behavior which give primary (or at least equal) consideration to community identity, integrity, and participation ought to be pursued. In other words, communitarianism began with the res publica (though one could just as easily say–as many did–the same thing in a Christian context, and talk of it beginning with Paul’s the Body of Christ, or in a Confucian context, and talk of it beginning with the Five Bonds). Some have argued that republicanism and communitarianism ought to be recognized as historically distinct, but standing firm on that point requires, I think, too much dedication to rather particular historical reconstructions to be of much use publicly. Very (no doubt too) simply, the argument at the time went like this: if you saw the point of freedom as the achievement of opportunities for independent choice, you were some kind of philosophical liberal; if you saw the point of freedom as the ability to contribute to or deliberate about the common good (or at least common goods), you were some kind of communitarian. Putting it in those terms might suggest a first, rather obvious answer to the question of why communitarian arguments faded away. After all, the 1990s–thanks to the spread of the internet, thanks to the collapse of the Soviet Union and the state socialist parties throughout the world which were aligned with its cause, thanks to the simultaneous explosion of both globalization and irredentism (famously diagnosed in Jihad vs. McWorld, also published in 1995 by another sometimes-communitarian author, Benjamin Barber)–was all about the celebration of and the empowering of individual choice. It was the end of history, after all; liberal marketplaces were on the march, and the Moral Majority was out of business. (In fact, it was during the 1990s that a suspicion of how the unfolding of individual rights would likely proceed in the U.S. led to a near-total re-orientation of Christian conservative concerns, one which continues to this day.) So obviously the language of communitarianism–collective responsibilities, not individual rights!–was going to be smothered by the dot-com boom, right? Of course, these adults I see around me, a decade or two my junior–the famous Millennial generation–also emerged from adolescence, journeyed through their universities and apprenticeships and grad programs, married and began their families (or pointedly chose not to), moved from one place to another, and started their adult working lives, in the midst of two huge developments that couldn’t be more different from the drifting, discontented (but profitable!) year of 1995: the War on Terror, and the Great Recession. The social, political, and cultural consequences of those transformative events are many and diverse, but there are areas of overlap. Both privileged statist, nationalist, indeed civilizational narratives (obviously aided here by increasingly omnipresent, globally-interconnected technologies)–the primary community one was part of, the community which most threatened one’s choices or preferences, the community one most need to win, was a big one. If the money-making exuberance, the talk-radio squalor, and occasional overall aimlessness of post-Cold War America in the 1990s made it a little easier (for a moment, anyway) for people to hear a message which called for the abandonment of business as usual and for a move towards a different, more communal and civic, way of conceiving the political stakes around us, then 9/11, the long wars in Iraq and Afghanistan, and Wall Street bankruptcies imposed–for many of us, anyway–an encompassing and divisive rhetorical structure in its place. The United States vs. worldwide terror, Bush vs. the UN, Obama vs. the Tea Party, Red America vs. Blue America, Christians vs. Muslims, libertarians vs. socialists, the West vs. The Rest. The fact that too many communitarian thinkers perversely ramped up their discussion of the res publica to world-historical and international levels, perhaps in part because they felt themselves obligated by this revived rhetorical posture to fight a culture war, didn’t do the ideology any favors. If your typical educated American thinker in her 30s today looks back on these concerns from 20 years ago and finds it all somewhat intellectually strained, perhaps she can’t be blamed. And yet, maybe she is also somewhat persuaded by it all as well, without realizing it? Not that some of the worst excesses of communitarian thinking weren’t subject to a pretty thorough rejection, whether the warning was listened to or not. Elshtain in particular, by emphasizing again and again the divided, contentious, multi-layered, and civilizing processes of democratic belonging (as oppose to the static fact of belonging itself), provided a strong rebuke to those who twisted the concerns of some of her erstwhile ideological compatriots into a too-casual defense of “community institutions” capable of “eviscerating any public-private distinction” in the name of a “a future perfect gemeinschaft” (Democracy on Trial, pg.49). In this, she was working the same intellectual theme as Christopher Lasch (whose final book, The Revolt of the Elites and the The Betrayal of Democracy was published in…you guessed it, 1995), who warned against a communitarianism that was more powered by a static nostalgia than by a populist drive to empower citizens, families, and neighbors to become capable and diverse community-builders, in the face of manifest (and growing) economic and social inequality. It’s not that I imagine such theoretical arguments are widely acknowledged among my college students today or those that I’ve taught over the past 15 years. 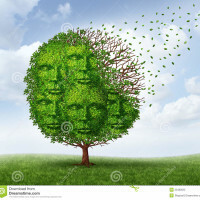 Still, in their life choices, in their opinions, in the directions many–not all by any means, but many–of them are taking, I wonder if somehow or another, some kind of careful, chastened, decidedly non-grand and quite diverse communitarian perspective hasn’t managed to take root, and grow. It’s too easy to assume, for example, that the aforementioned unfolding of individual rights in regards to sexual morality has been entirely without any kind of communitarian awareness, without any kind of attention to social responsibility and permanence. The whole story of how it is that America’s political and legal culture went from the Defense of Marriage Act to Obergefell v. Hodges in less than 20 years will no doubt be told and re-told many times from many different disciplinary perspectives–but surely there must be at least some significance to the fact that, among all the assaults upon what was long this country’s default cultural understanding, the one which generated the greatest sturm und drang was not divorce or polyamory, but rather a push for marriage itself–a push that, therefore, ultimately invokes ideas (whether openly acknowledged or not) of sexual commitment and limits, not liberation.. 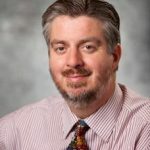 The inability of many to see this–and I was once one of those many–reflects the difficulty of separating the evolving res publica from the historically specific publics we experience, many of which were and are conservative Christian churches. Still, despite the many reasons to be troubled by the sexual world which liberal individualism’s apotheosis helped create, the reality is that our hypothetical average 30-something American intellectual today does not appear, in fact, to have thrown off the idea of this most intimate kind of belonging, but rather has likely strongly embraced–in an admittedly new way, in principle at least–the cause and the right of marrying and giving in marriage. Similar arguments could be made about technology (how much contemporary screen addiction reflects complete isolation, and how much reflects new forms of social interaction, connection, and community-building? ), work habits (might the rise of the DIY ethos and the resistance to long-term expectations for corporate work suggest not just resigned economic realism, but also a desire to carve out space for creative opportunities with one’s friends and family? ), living patterns (is the flight from the suburbs and the return to the city an embrace of individualizing anonymity, or actually a rebuke of exactly that? ), and much more. This isn’t, I think, a Panglossian attempt to see only the silver lining in our present moment–which clearly is, like all moments, a worrisome one. Rather, I lay it out as a set of developments which may reveal a crucial perspective on the whole communitarian perspective. Michael Walzer once argued in an insightful article (first published as the 1990s began) that the communitarian attack upon liberal modernity cannot avoid assuming that either individualism had successfully remade the social order, or that it hadn’t. 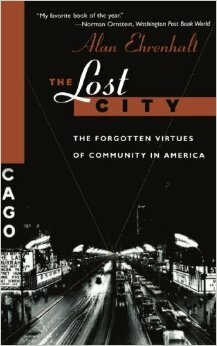 If the former, then there is a problem with the many criticisms made against the contemporary prioritization of choice, because if the social infrastructure of attachment, tradition, and civic virtue really had been overthrown, what, exactly, can a defense of community be built out of? Atomistic individualism can’t be persuaded to embrace limits and common goods, because it simply cannot find place within its philosophical worldview for such. So communitarians might as well admit the game is lost, and think about other options. (Perhaps this is the intellectual ground upon which the Benedict Option stands.) But if the latter–if modernity has not, in fact, defeated humanity’s social anthropology, and the ability to perceive and pursue collective and stabilizing ways of life has not been entirely lost–then that must mean functioning communities haven’t been lost either. They’re still here, somewhere; we just have to learn how to see them where and for what they are. From that perspective, the rising generation which Ehrenhalt spoke of evinces more than a little communitarian evidence after all. 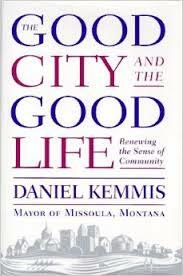 In his wonderful and too-little read second book, The Good City and The Good Life, Daniel Kemmis hardly made any explicit reference at all to communitarianism or republicanism or any other type of philosophical orientation–and perhaps, exactly because he didn’t, going back to that book provides an insight to civic developments which those of us often too enamored of theory miss. His discussion of citizenship and the “civic wholeness” that a proper relationship to one’s local natural and social environment–one’s polis, in other words–effectively closes off any of the grand cultural narratives which came to warp much communitarian thinking, instead grounding the pressing need to belong in one’s locality: “states and nation-states are abstractions to which we cannot easily apply any of the key concepts discussed here: not wholeness, not presence, not grace, and therefore not…citizenship” (pg. 25). Kemmis’s arguments in favor of relocating our sense of attachment to the active, participatory city seem to anticipate the political dysfunction that, over the past decade, has come to seem normal for large, overburdened democratic states. For him, art and governance and a sustainable economy were most authentically realized in a city (preferably a small to mid-sized one), wherein “the web of culture comes down to earth in countless ways, situating people in a dynamic balance between their innermost aspirations and struggles and the world they find themselves inhabiting” (pg. 69). He was, in other words, years ahead of many others in looking back at Jane Jacobs to find his own particular kind of communitarian inspiration, predicting “the postnational renaissance of the city” (pg. 139)–a renaissance that finds evidence today in the proliferation of farmers markets and urban farming, in ways in which cities are challenging both state and national governments, in the movement of young families (straight as well as gay) and “suburban” concerns into parts of America’s cities that were once progressive ghettos of gentrification. No, none of this particularly follows the often conservative and traditional models which many, in practice, regularly associated years ago with the attempt to foreground the common good and civic virtue. But the best communitarian writings always, I think, challenged those static presumptions, and invited us to see (in contrast to the nationalist, statist, and global capitalist narratives which have loomed so large over the past couple of decades) the diverse democratic and communal practices which the urban nooks and crannies of America still give rise to. None of this is to say that liberal individualism and the rampant mobility and often militant nonjudgmentalism of American society today isn’t still a problem; on the contrary, those of us who care about conserving a humane connection to our own communal nature need to constantly watch how we teach, how we live, how we spend–and just as importantly, where–in order to combat such ideas and practices. But as one form of attachment gives way, our mourning should not prevent us from noting other attachments which take its place. Communitarianism today, were another rash of books to be published proclaiming it in 2015, would likely be revealed as more local, less political, more sustainable, less ambitious, and both more and less conservative (in the familial and cultural senses, respectively) than was the case in 1995. But the essential focus of it–the res publica, the imperative of belonging to and bonding with the people and the rituals of a particular place–would be, I think, the same. And the refugees from alienating state-centric liberalism who might hear and respond to that focus might well look around themselves and find (in comparison to those of us who latched onto these teachings 20 years ago) that they are far less alone in feeling inspired by these materials than any of us may have thought. Community is not so much lost as it is shouldered aside by the flashy noise of the faux agora. Simple-minded common amusements are enough now to constitute “community”. Irony runs rampant and individualism, as a result, breeds a never ending revolving door of loutish dolts. Identity Politics thrives in this atmosphere, picking the low hanging fruits of disaffection. To think that we might craft a community out of the current mindset is a ludicrous conceit. Self Satisfaction will need to be reduced substantially before we are able to re-establish any sort of community on this pirate ship. To think that we might craft a community out of the current mindset is a ludicrous conceit. Ludicrous, perhaps. Yet, nonetheless, I think it happens–people bond, they settle, they develop rituals of connection and practices of association that lend meaning to their lives. Count me firmly in the latter of the two camps Walzer describes: I really do believe, until some hypothetical future arrives when language and embodiment themselves are transcended, and we really are just brains in vats, that community will always out. Whether it will be robust in the sense we remember is, I grant, highly unlikely. We are–thanks to technology, thanks to wealth, thanks to doubt–too deeply individualized and mobile for our communities to by like the ones that existed in American in the 1950s. But communitarian we nonetheless are fated to be, I think–and so it behooves us to find and take seriously whatever small communities there may be out there, whatever shape they may take. I don’t dispute what you say–at least not in the broadest sense. Two generations of no-fault divorce have utterly changed the role which even the strongest religious teachings and cultural presumptions once gave marriage in America’s communities. The same can be said for birth control, the toleration of out-of-wedlock births, remarriage, and more. In regards to each of these changes in the particular, I’m not willing to say that they were always entirely baleful expressions of individualism; some of the the individualistic changes in how marriage and sexuality were once conceived were, I think, defensible even on communitarian grounds (in the sense, for example, of expanding our notion of who can be encompassed by certain defined communities). But even if I grant you the broad truth of their negative effect, that is also, in the end, water under the bridge. Must everyone who embraces the cause of community “reject” people who seek stability, because they are not doing their seeking in a way that submits to a particular reading of “culture and religion and tradition and history”? Such purity in one’s definition of community partakes of the kind of static perspective that I think the better communitarian writers, as I noted, knew was a dead-end. Right, and it is this very process, promoted all along by the cultural left (with their allies on the corporate right), that has denatured marriage to the place where it can gain qualified acceptance by the heirs of the Sexual Revolution, rather than being rejected outright as it formerly was. Water your beer enough and eventually you’ll have something that even a teetotaller will drink. But you can’t really call it beer. I agree. Yet when liberal individualism is the underlying substrate in which certain expressions, even particular positive ones, are rooted, I don’t believe the taint can ultimately be avoided. All “goods” arising from a compromised foundation will themselves be compromised to one extent or another. Small town high schooler walking home in the rain. Someone recognizes her as living nearby and offers her a ride. She doesn’t recognize him, refuses, calls police. Community notified that there’s a predator on the loose. Man comes forward. Police say that if someone offers you help, you should call them. Water your beer enough and eventually you’ll have something that even a teetotaller will drink. But you can’t really call it beer. Very true, and that is a loss. But at the same time, as a teetotaller myself, I can’t help but point out that imbibing such a comparatively thin community still does, in however weakened a fashion, convey some element of consistency, stability, and identity. I can recall sitting with friends of mine in a biergarten in Frankfurt, recognizing that there was a conviviality around me that I could not partake of–at least not fully. But I could partake of a variety of it. If heavily individualized varieties of community attachment and commitment is all we have left, that reveals goods we don’t have access to anymore–but it doesn’t take away the fact that they are, nonetheless, however compromised, still part of the same genus, and should be valued as such, I think. I actually agree (at least I think I agree) that the prime tragedy in the story I posted is indeed that people don’t know their neighbors anymore, even in a small town which isn’t exactly populated by a transient population. That story is just so sad. Imagine being the guy who wanted to help. Think he’ll ever do anything like that again? Imagine being the girl, being taught to be so afraid of her fellow citizens. Think she’ll reach out to introduce herself to them? There is a continuous tradition of aspiration towards a mature, rounded Third Way politics that rejects both liberalism and statism dating back to the middle years of the nineteenth century. From non-statism socialisms to the Catholic social thought of Leo XIII to the distributism of Belloc and Chesterton to agrarian populism to Red Tory and Blue Labour movements to the better parts of current sharing economy movement, the tradition is well-established. What has been missing is a political method for institutionalising the aspiration to embed it permanently in the landscape of democratic polities. The time has come to learn this lesson and put an end to the cycle of periodic rediscovery of civil society and communitarian thinking. We need to grasp Lenin’s question “What is to be done?” as if we seriously intend to change the world, and stop allowing statists and liberals a monopoly on this business. It means building political institutions, now feasible in the internet age of communications and fund-raising, based on membership, participation, policy-making and solution-creation, as if we actually mean to fill the vacuum in the centre of Western democracies with a thoughtful, participative, community-grounded politics that can simultaneously subjugate both states and markets to human flourishing in civil society. Time to organise.